How Accurate Are Your Copier Lease Quotes? Your typical business copier starts at $150 per month, but most of your Google searches will have you reading tons of information before you talk to someone. That is not how we operate. We answer your questions before you need to make a phone call. When you first saw $150 per month, what did you think? If your first thought was that you own a cheap printer and only pay $60 for your ink, that conclusion comes from logic, but there is more to it than what you are seeing. 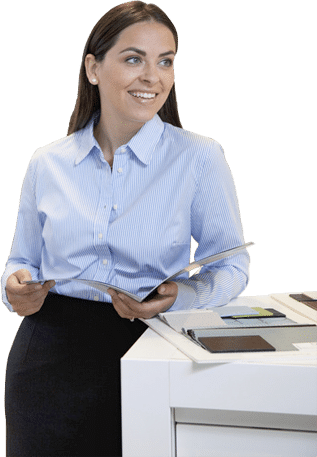 Smaller ink and laser printers will hold approximately 100 sheets of paper, and after filling your tray for the second time, you will often find yourself forced to buy ink. This often occurs when the cartridge is not even empty. You paid $200 for a printer, but when you look at the extra $60 for every 200 pages, that means you pay $120 for every 400 pages. That does not include servicing the unit when you have breakdowns. Now lets examine what a $150 per month lease brings to the table. For example, you have an all-in-one payment, which includes 1,000 black-and-white prints and 200 color prints per month. Not to mention, you receive free and unlimited service calls for your copier, and the company includes toner in your monthly cost. We try to make copier leases easy for customers. When looking at a quote, you have to consider multiple factors to decide on the best route for your business. What looks cheap initially can end up costing more when you examine the information closely. We do not always recommend going with the cheapest copier because oftentimes, you end up paying more for through supplies and performance.